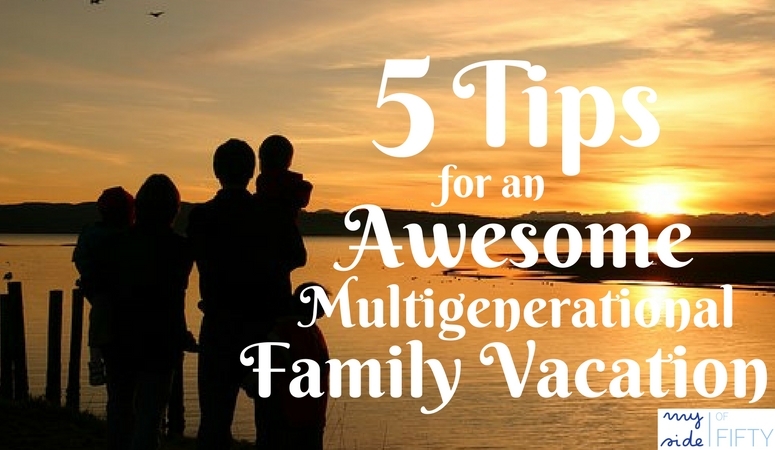 Have you ever taken a multigenerational family vacation? I remember taking them with my parents and kids when our girls were growing up. And we continue that tradition by planning and annual vacation with our now adult daughters and their families! I LOVE these vacations together. It gives us time to spend with our daughter who doesn’t live in the same city as the rest of us. It’s a fun time for cousins to play together. And it’s just nice to go someplace away from home and share new experiences. 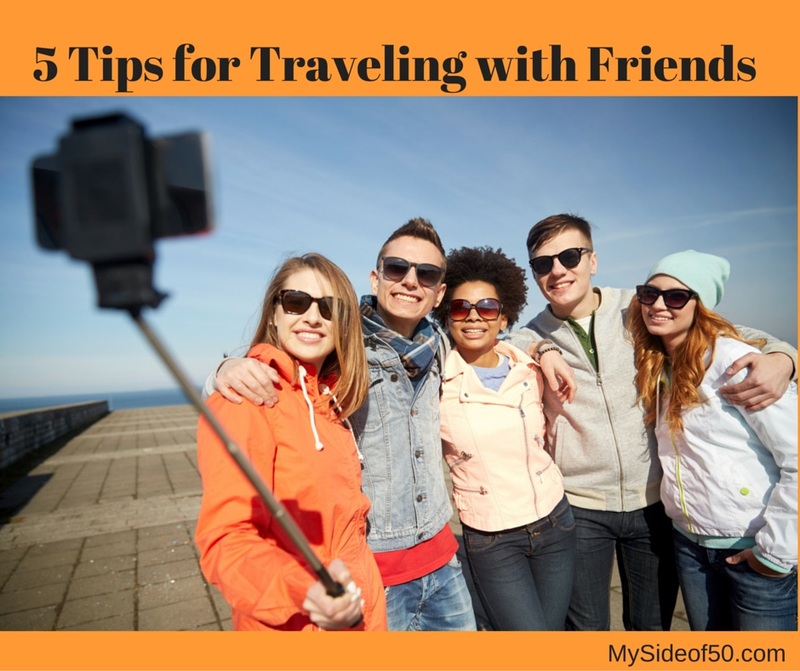 But traveling with several generations does require some special consideration and planning. 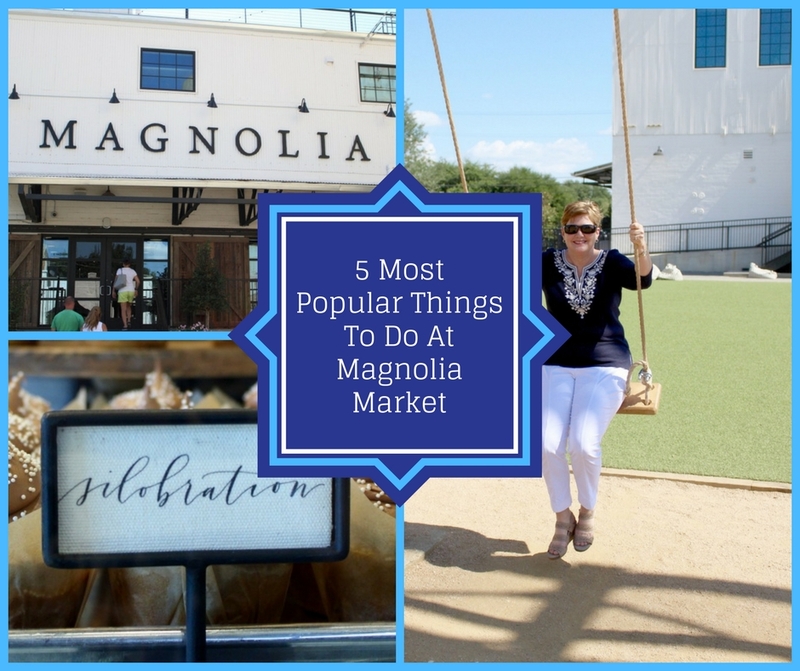 Following these 5 tips will ensure that EVERYONE in your family has a great time AND wants to do it again! Family Vacation Tip #1 – Plan your dates FAR in advance. When you are planning with several generations, figuring out a time when EVERYONE is available to go can be tricky. For example, my husband has been working for 40 years. He has more vacation time than he ever takes and can take his days just about any time he wants to. Our kids, on the other hand, are just starting their careers. They are the “low-man on the totem pole” in their companies and are limited in the NUMBER of days they can take off and WHEN they can take off. So planning early enough for “the kids” to make arrangements is essential. And as our grandkids get older and get involved in school and extra-curricular activities, there will be even more things to work around when scheduling. Family Vacation Tip #2 – Have a “budget” conversation WELL BEFORE the trip. Who is paying for what? For example, we rent a beach house every year and my husband and I foot the bill for that expense. However, in a few years, we will be on a fixed income and may not be able to do that. What is each family’s travel budget? This will determine how far you can go away from home and what kind of accommodations you choose. If you will be dividing up expenses, appoint one person to be in charge of this. Family Vacation Tip #3 – Pick a place to stay that has SPACE. A place where everyone can get a good night’s sleep. Nothing is worse than a bunch of cranky kids, or worse yet, cranky adults because there isn’t a comfortable, quiet place to sleep at night. Don’t scrimp on this by piling 8 people into a hotel room! A place where kids can play and be kids. A playground, pool or just open space for them to run around. A 5-star golf resort probably won’t allow many places for kids to be kids. A place for some downtime for each family. You will have lots of togetherness on your trip. You will look forward to that time together. But there needs to be some time every day for each family to have a little time to themselves. Believe me, you’ll enjoy your extended family time more if you allow for this! 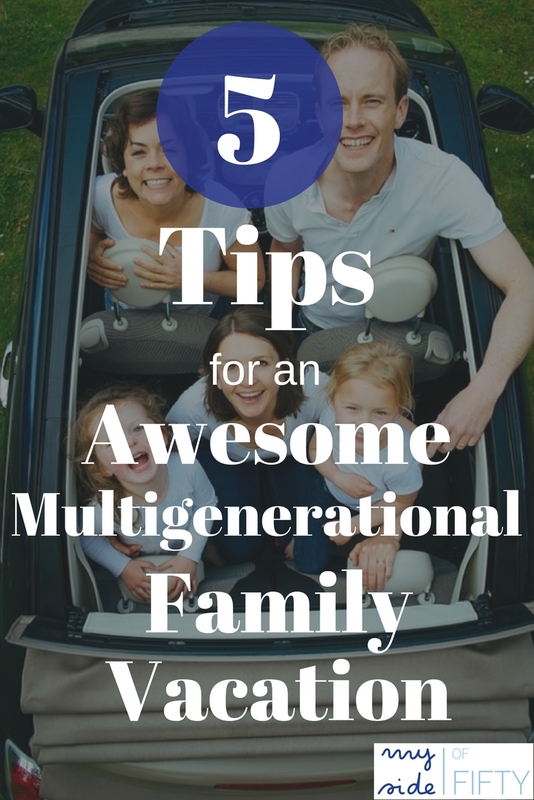 When you have several generations together, it is important to allow for different ages, energy levels, and interests. You may have 1 or 2 things that EVERYONE will want to do together. Otherwise, have your other activities be optional so that each family can choose what is best for them on a particular day. Make no mistake – just because this is a vacation doesn’t mean there isn’t a lot of work involved. Making the travel plans, getting places on time, keeping up with kids, meals, toys, suitcases, nap times, snacks….it’s a LOT of work. So try to anticipate the things that will need to be done and divide up these responsibilities ahead of time. Meals – if you are at a place where you are cooking your own meals, how will that chore be divided up? If you are dining out, appoint someone to research restaurant options. Do the adults want a night out? Who will watch the kids? (Don’t always ASSUME grandma & grandpa want to do this). Who will drive and keep gas in the car? Someone to be in charge of the schedule and figuring out what time you need to leave to get places on time. 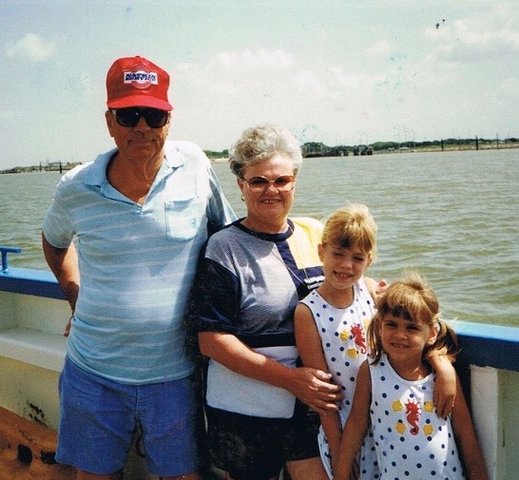 We have so many great memories of our multigenerational family vacations together. In fact, our 8-year-old grandson spends time on each of our vacations planning the next one! With a little forethought, planning, and communication, you can have a wonderful time making great memories together! 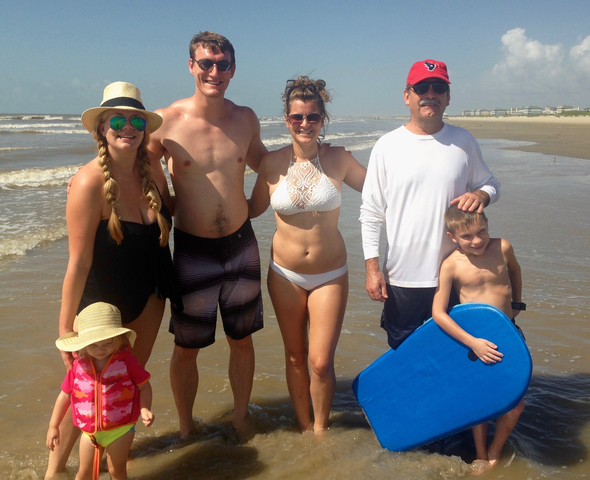 It’s so much more fun to have more people involved in the family vacations—sure it can make it harder to plan. But there’s way more laughter too!! We were thinking of taking a cruise with my moms and friends for mom’s 80th birthday next year…. We take a vacation with 3 generations every year. And yes, it’s important to have space and a plan so you can relax and enjoy. These are some great tips; thanks! Thanks for the good post. We have a family get-together coming up over Christmas this year. Three generations ranging from 79 to 3 years old! I’m grateful for your tips! That sounds like fun, Shirley! It’s such a blessing to have all the generations together! LOL! I hope my grandkids feel the same way about me! I have taken several multigeneraltional vacations. They are so much fun. We did most of the things on your list. We are planning our next one for the beach in August! We have fun! Thanks, Sarah! Great tips! I’ve shared this on my TDAC Facebook page. I’ve taken a 3-generation trip and just returned from a 2 generation trip and hope to again. Thanks for the ideas. How wonderful to have a set place where everyone gathers! Nice. We struggled for years with this but finally have it down pretty well! Thanks for your post! I really like these tips! I always seem to be traveling in this manner these days. You have to be prepared for ANYTHING! Shared on TDAC FB, Stumbled, and pinned! Looks like you had a wonderful time Cathy. It can be difficult enjoying so much time together even if you are family. So many likes and dislikes. Enjoyed your helpful tips and thanks for sharing at #overthemoon. Enjoy your week! These are great tips. We try to take a multi-generational trip every year. 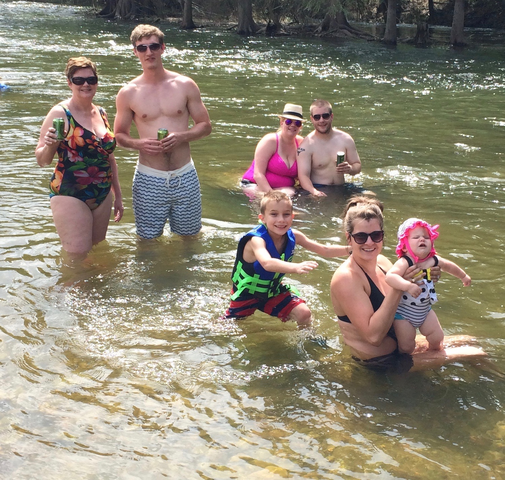 It is always a lot of fun and provides wonderful family memories for everyone.